Sun sparkles on the water and a large fish jumps just metres away, as we unload the Sea-Doos at Moose Lake near Bonnyville, Alberta. It's my first time jet skiing and we couldn't ask for better conditions. The water is high and clear, and there are no other boats on the lake. The Sea-Doo purrs as I start it up. I feel the 130 horsepower at my command. It's thrilling and daunting at the same time. 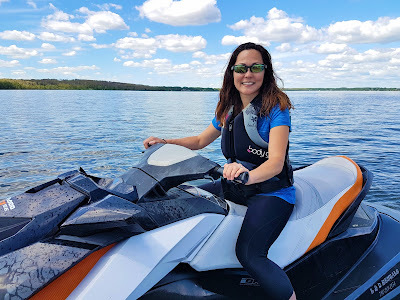 I start out slow, getting my sea legs so to speak, then revel in the fact that the jet ski is virtually untippable (with my weight on it anyways). 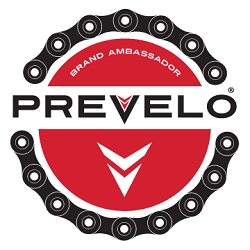 Opening up the throttle, I quickly go from 4,000 rpm to 8,000 rpm. I'm nowhere near the jetski's max speed, but I'm flying across the lake. Standing up gives a whole new perspective and allows me to rock from side to side, and lean into turns. 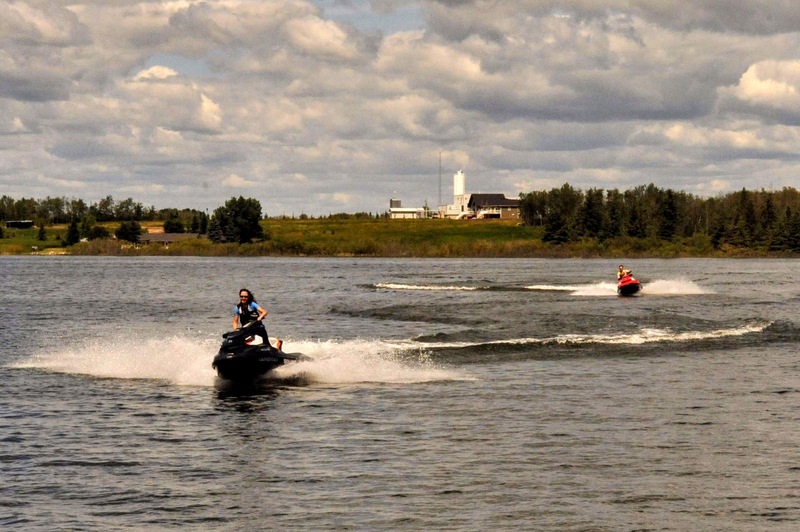 It's exhilarating and I feel like a superhero, but when I whip around to see what Darwin Beaudoin, Bonnyville local and jet skiing guru is up to, my jaw drops. He'd doing figure-eights and getting air! He offers me a ride and I experience the full potential of a Sea-Doo. Back at the dock, I'm completely soaked from head to toe, and can't stop smiling! It was an amazing first time jet skiing and won't be my last! Beaudoin runs L&D Marine Rentals with his dad, Leon. When I ask what his favorite things to do in the area are, he says decidedly "jet skiing, swimming, and tubing" and admits to being a bit biased. I don't blame his choices; after all he lives in lake country! 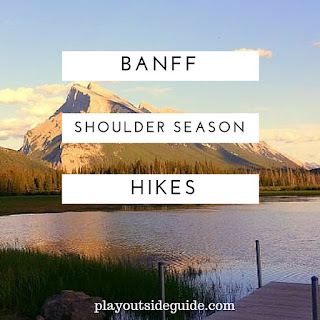 With so many lakes, you can easily find a jetski playground, quiet fishing hole, or lakeside campsite. 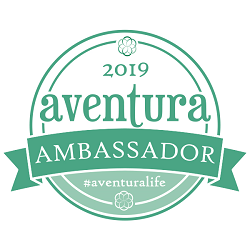 It's the ideal spot for adventure and relaxation. 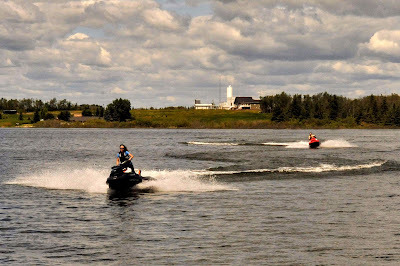 A Pleasure Craft Operator Card (aka Personal Watercraft/Boating License) is required to drive a Sea-Doo or motorboat in Alberta. You can do a course and exam online in three hours and your license is good for life. If you tow friends on skis or a tube (so fun! ), they do not require a boating license. You will get wet! It's great on a hot day, but consider a wetsuit in cooler weather/water. Please keep your distance from wildlife and shorelines. Many animals live along the shorelines, including nesting birds. 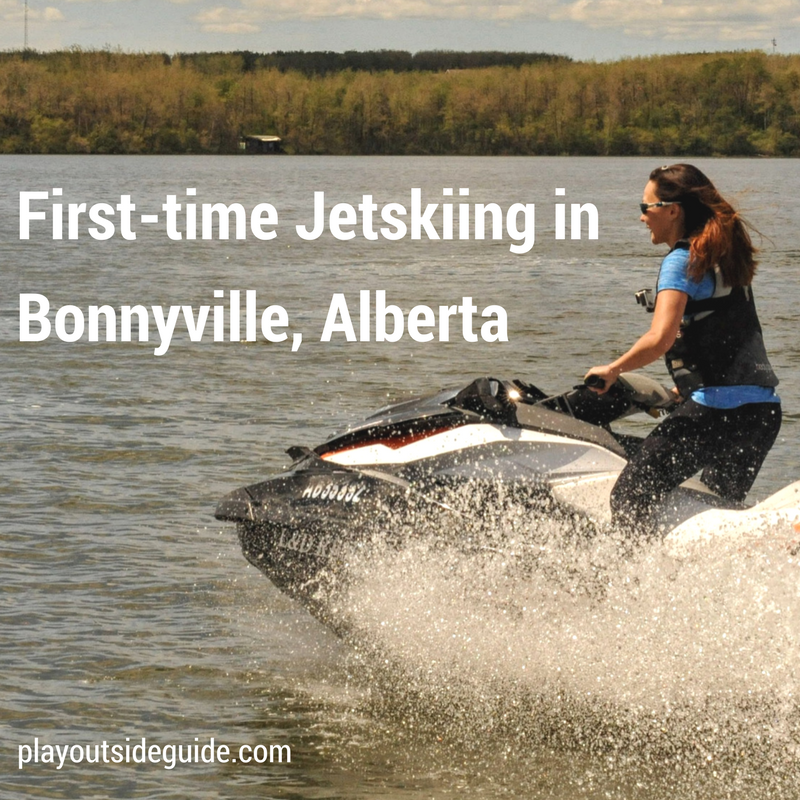 For more information on things to do in Bonnyville, including where to stay, please check out my story on Zenseekers: Stoked and Soaked in Bonnyville's Jetski Playground. Visit L&D Marine Rentals to check out their complete fleet of boats, Sea-doos, and more. 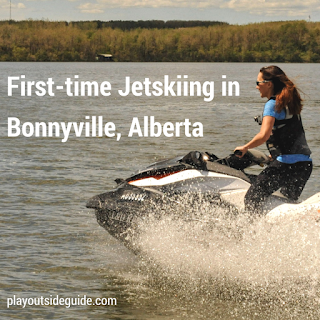 And for more on how to #TakeitToTheLake, check out the MD of Bonnyville’s visitors guide found here: https://www.md.bonnyville.ab.ca/9/Visiting. Thank you to Lac La Biche Community Futures, the MD of Bonnyville, ZenSeekers, and Travel Alberta for having me on the #TakeItToTheLake Expedition! All words and opinions are my own. 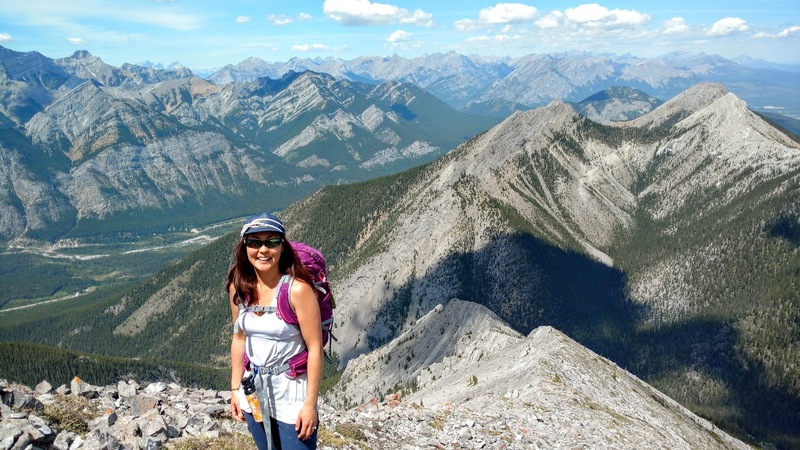 Search #TakeItToTheLake for stories, photos, and videos from Alberta's Lake Country!